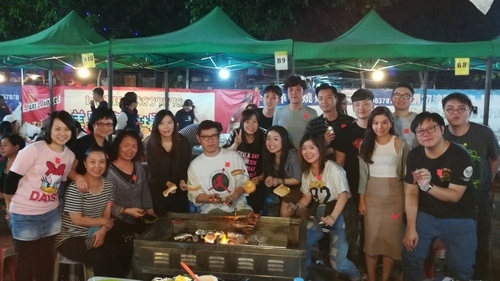 DYXnet Group’s reputation as a role model among Hong Kong employers was given a stamp of official approval when the company signed up to the “Good Employer Charter” launched at the end of 2017 by the HKSAR Government’s Labour Department. 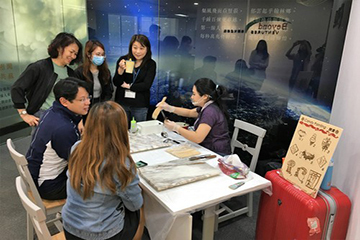 The initiative encourages employers to adopt employee-orientated practices to cultivate a healthy and productive human resource management culture throughout Hong Kong’s business community. Key aims are to establish family-friendly practices that help employees achieve a healthy work-life balance, along with benefits that exceed statutory requirements and a wholesome flow of communication. DYXnet Group is invited to attend the ceremony on September 14. Christie Pang, Human Resources and Administration Manager of DYXnet Group, receives the “Good Employer Charter” certificate at the ceremony. The “Good Employer Charter” initiative is open to all private organisations and most public bodies, as well as employer associations, trades unions, professional bodies, non-governmental organisations, social enterprises and educational institutions in Hong Kong. DYXnet Group became a signatory of the Good Employer Charter. DYXnet Group has earned a solid track record for creating an environment to the benefit of the workforce’s general well-being. 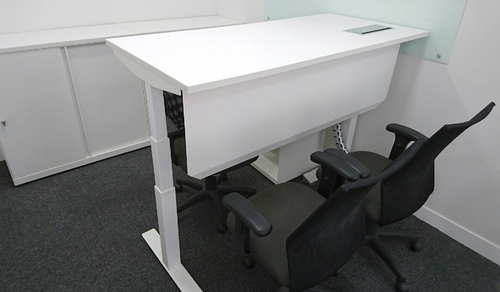 As well as limiting the working week to five days, DYXnet provides 120-degree workstations bathed in natural light, as well as adjustable desks that allow employees to work standing-up to assist beneficial posture. 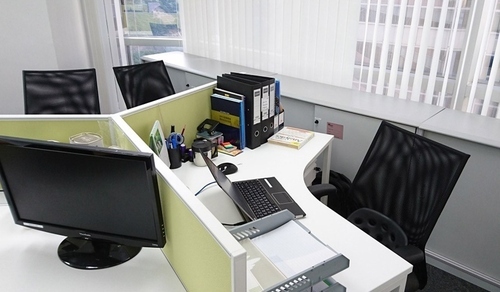 Our Hong Kong office features 120-degree workstations served by natural light, along with adjustable desks that help posture because they allow staff members to stand while working. 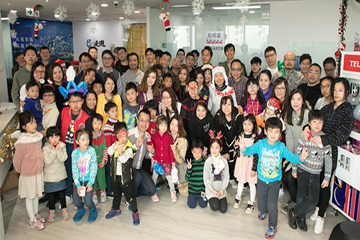 Other aspects of DYXnet’s family-friendly philosophy include availability of compassionate and paternity leave, the ability to carry outstanding holiday entitlement into the next year, and a Happy Friday initiative by which colleagues stop work at 4:30pm on the last Friday of each month to play games and eat together. Staff are also allowed to leave work early on the eve of major festivals, and benefit from a social club that organises all kinds of leisure activities, plus a family fun-day. On the recreational side, facilities at DYXnet’s office in Kwai Fong’s Metroplaza include a fully-automated darts facility, billiards table, massage chair, PlayStation 4, Switch, and an international-sized table tennis table. Happy Friday staff activity featured with different themes. Staff members enjoyed the parties with refreshing drinks and snacks. Social club organised different activities for staff members and family to enjoy. A recreation area at the Hong Kong headquarters offers darts, billiards, massage chair, PlayStation 4, as well as a table tennis table. Other DYXnet Group offices around the region provide recreational facilities for staff in the form of billiards, table football, exercise bikes and other fitness equipment. In addition, activities and gifts from the company help colleagues get the best out of celebrating major festivals. 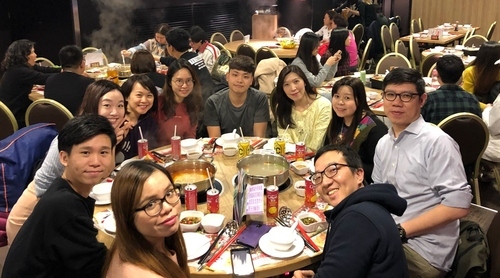 Meanwhile, the Group’s Beijing and Shanghai HR and admin departments arrange annual trips for colleagues as a gesture of gratitude for their hard work throughout the year. A recreation area at Beijing and Guangzhou office offer billiards, table football, exercise bikes, as well as a table tennis table. DYXnet Group has become an employer-of-choice, thanks to a sharp focus on career development. Employees also benefit from transparency and a free flow of information. This is assisted by a company newsletter, a policy that allows colleagues to express their opinions on corporate issues, an open and honest performance management and promotion system and an employee handbook. Organisations accredited by the panel of judges are awarded a “Good Employer Charter” certificate and can use the charter logo in their letterheads, publications and promotional materials for two years. They are also included in a “Good Employer Charter” participation list on a website that can be accessed by the public.